Hollywood is well known for making sequels. And people are well known to either like them or dislike them. Sometimes the sequel is equal if not better than the first. Other times, they are even worse. Before you start pushing out a blast email to this guy, allow me to explain. First off, I was and still am a huge fan of Storyline. Love it. Would wear a t-shirt if they gave me one (no need to send). If it in my mind one of the best ten products to hit the e-learning cycle in the last five years. I kid you not. When I heard Storyline 2 was now available, I anticipated nothing less than extraordinary. I mean the first Storyline, sweet and then here comes a new version, from a company not known to push out new products for a period of years – must rock. Then I used it. Then I cried (uh, not really, but go with it). Disappointed? Understatement. Surprised? You have no idea. Immediate thoughts? This is nothing more than a sequel and a bad one at that. Quizzes and survey – The survey piece is the key here, I like that they separate the two BUT I found it strange to have survey options that included some of the same in quizzes. Timeline – I was expecting more pop. What I got, fizz. Design as a whole – Again, acceptable, but where was the oomph? Where was the “WOW”? I saw none. 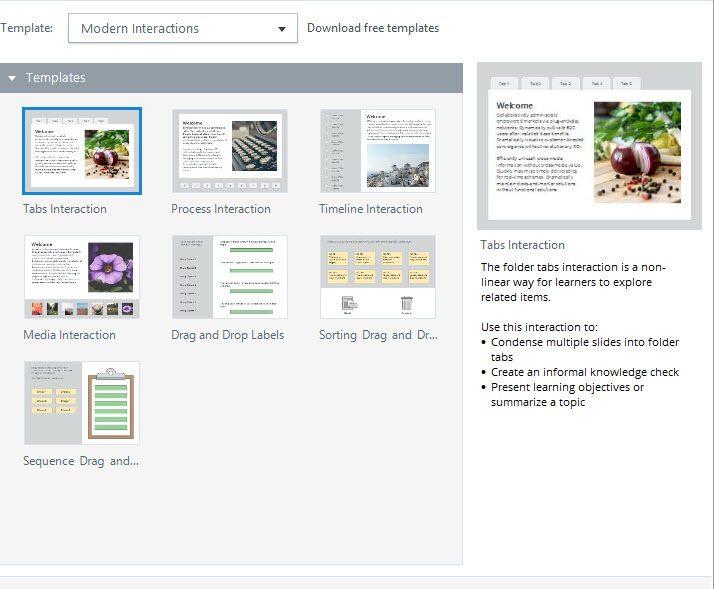 Transitions, Animations, Views – I am fine using it once, but again, new product-new version, so why I am still seeing PowerPoint within this product to such a point, that TAV are exactly the same as in PPT? Really missed it there. Screams more like an advanced sequel to Studio than a robust new version of Storyline 2. I saw more things in this version that reminded me of Studio with updated tweaks than a super robust Storyline. Yeah, they added new features and new capabilities, but they also took a product that even “Articulate folks” I talked with told me that Studio users using Storyline would have a learning curve. 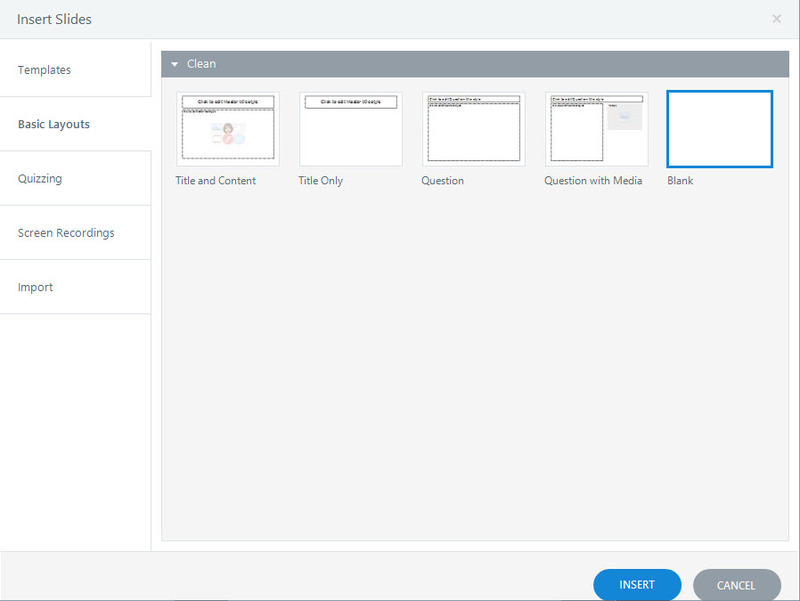 In this new version of Storyline 2, not needed. Why the gripe? 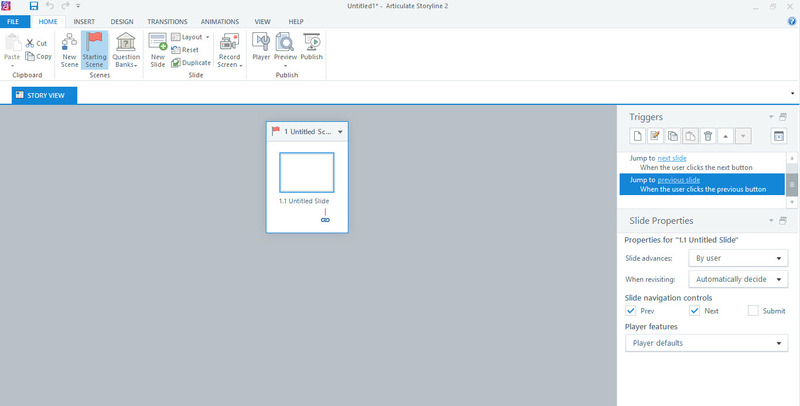 If you are creating a product geared towards ID and e-learning developers it should not be as easy as using PowerPoint. It is. No SaaS – While the e-learning industry as a whole is going into the cloud, AT vendors as a whole are staying with desktop, even though they have features such as notes (ideal for collaboration, SME peer review in the cloud). Articulate and a few of the other big dogs are holding on to desktop for dear life. Tutorials and Help that in order to use you have to be online. Let me see, desktop product. Many other desktop products have help built into the product so you can view in your browser but be in offline mode. Makes perfect sense – to no one. 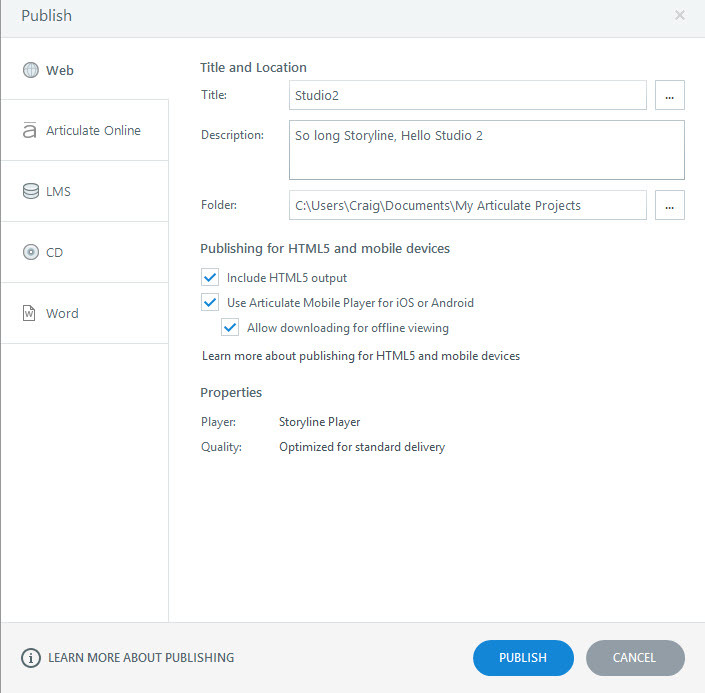 Upon entering Storyline 2, you are immediately provided with a few options on the left side of the screen, tutorials in the middle of the screen. Personally, I like this because everyone who uses software, often jumps right in and starts going, rather than take the time to read how to do things (inc. myself, reading a guide? Sorry, I need that extra 75 seconds to count my socks). Discuss Storyline and More Resources are nice, but you have to be online to see them. To start a new project, simply click “New Project”. Slide Layer, Convert to Freeform, Zoom Region, Record Screen, and all the others are nearly the same as previous version. Character icon is different, but not really a big deal. Same with the flash icon. Who is still using flash, BTW? You can’t see it on iOS tablets, smartphones unless you use an alternative browser and no offense, I have yet to see one that does a great job. Yeah, I know folks still use it for online courses and yada yada. If you are going to offer Flash as an option, why not HTML5? There are plenty of HTML5 object sites out there. Pick and Go. Preview/Publish – I am always a huge fan of preview first than publish. I wasn’t a real fan of this baby showing up on my main story view screen. Part of the problem for me, was after adding another couple of slides even before starting with slide 1 (inc. adding a name), actually editing the name became somewhat of an issue. Especially when you are using the layers box. You can edit the name there for each slide, but it does not automatically appear within the slide. That would have been nice to include. Since I was wanting to build my course quickly, I decided to go use one of those tutorials. Oops, my net connection was down. No luck. While I was to do all the wonderful things I wanted to do with the layers options, I was still irritated that I was unable to edit the title easily right on the page. For me, it was due to my mouse getting to the right point (long story), but it would have been nice to just click anywhere in the name box on the slide and whalla it pops up and I can edit it. That’s just me. Anyway, I eventually was able to figure it out – and once I solved my little challenge, I was on my way. So here I am at my scenes section. I have created my titles – I started with Chapter 1. The Ribbon makes change and I am off to the races. In fact, much of the screen changes. Let’s take a look. View – I’m getting a headache – did you have to Microsoft to include all this stuff? Joking aside much of the ribbon, maybe all, I wasn’t doing a cross comparison with PPT, seemed to remind me of PPT. Again, first time around I’m fine, make a new version, expect some header changes. Frustration is setting in at this point. Again, the Triggers option box is up and ready. I would have liked not to see it. Perhaps a peeve of mine, but unless Storyline2 can read my mind, how do they know this is what I want to see at this moment in time. Since this box is repeatedly showing up, might as well look inside the engine as they say. Once I decided to add a trigger, uh, I did have more than a blank page on that point, you can see there are more than enough actions available to you. In fact, I would state this as a plethora of choices. Well done. The same can be said for “Events” too, lots of choices. I found several issues in the product during my testing of all the functionality and features in the product. It occurred in the templates section. I found my issue when going first to insert slides then select templates. Before getting to what I found to be a big issue – i.e. bug – let’s take a quick look here. Templates – Included several options, more on a sec. Quizzing – The usual items including drag and drop, what I found unique was hotspot. Use a built-in AT product in a LMS and rarely do you find hotspot. Some AT vendors have removed it as well. I always found it a mixed bag. Sounds like to would be awesome for learners, then I would get gripes about the spot locations. Pass. Screen recordings – Simple, but I found the recording bar to be tiny . I know it looks big here, but stick it on a page and then look for it. Anyway, maybe that is just me. I would have seen more complexity options here to import, rather than PowerPoint, Quizmaker, Engage (a nice offering underutilized in my opinion), Storyline or Questions from file. Articulate Studio includes a robust recording product, I wish that those recordings would be listed here or some other types of media. Let’s jump back to the issue I found with Templates. You have a wide variety of choices and I did like that the provided some information about the interaction and what you could do – as an option – with this interaction. I decided to go with Tabs interaction. Big mistake. Again, this is likely a bug, but I was surprised to find it, then again, who is not surprised when they find a bug. The Tabs Interaction comes with four tabs. My problem arose with Tab 1 and Tab 3. 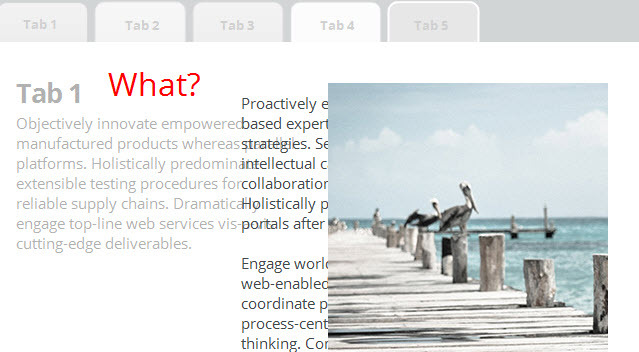 The Tab 1 in my Storyline2 came with a picture image holder (to change the image or remove it) and grey text. That black text – no idea where it came from, because I did not write it, and initially I thought it the grey was a shadow of the black text. Nope, separate text. Hello Raid? I have a big bug for you to eradicate. I also found a similar bug in Tab 3 (conspiracy? You decide). Again, the Tab 3 had grey text and some black text over it and once again they had nothing to do with one another. And yes, it is another bug. As with any product review they can go on and on. So here are a few other areas. At some point you have to publish your course. 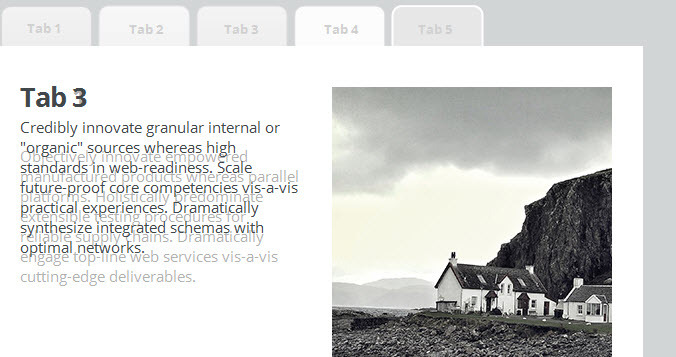 With Storyline 2, the choices to pick from are more than enough. 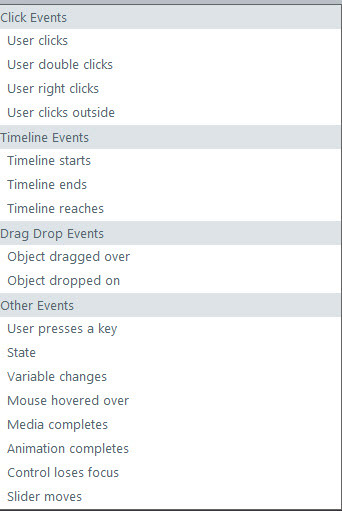 As noted earlier in the post, I liked the reporting and setting options, but would have liked to seen some explanations on what they mean when you clicked either in the box next to each one or on the text. After all, Articulate provides interaction details which no offense to anyone is quite more simply than reporting and tracking specifics even to an expert designer. I like the fact that Android has arrived with Storyline2, but let’s not forget that a player is not the same thing as a native app. And this is no native app. It would have loved to see some options under quality. Anytime someone says optimized, I want to know what does that mean, especially when it says for standard delivery. Is there another kind of delivery? If yes, can I have it? Under the LMS section is where you can find the reporting and tracking. Not sure why “Word” is a publish option. 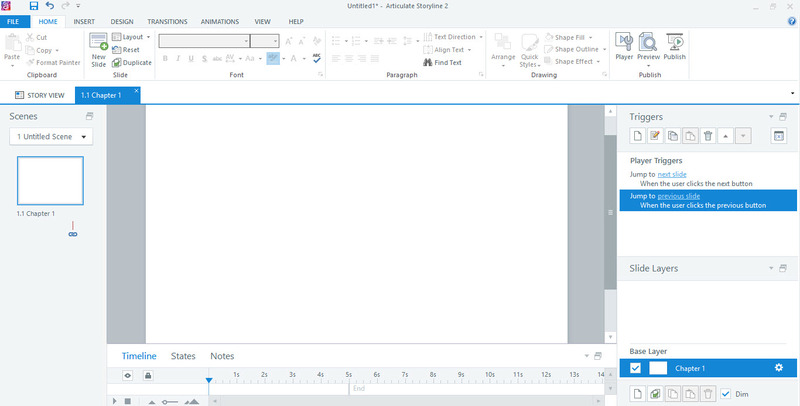 I could see you importing Word or some other text editor but not publishing to Word. My biggest issue with Storyline 2 is that it does not deserve to be listed as a new product in the general sense of the word. It is a sequel, an update to a version of their offering. I do not know that sales data points between Studio and Storyline 2, but I do know their track record of new versions of Articulate. Previously to Studio 13, their last version was 09. They are not known in the AT space as a vendor that pushes out new products every year, let alone every two years. They make tweaks. They make fixes. So, when Storyline2 showed up, it told me that sales must have been fantastic and as a result, Storyline2. When you take a deeper gaze into the product and if you can hold off any bias, you will see what I see, a lot of Studio. Again, it has added new features and new capabilities, but in my opinion it should have done more. But they didn’t. They decided to go little rather than big and see if that will suffice. Generally speaking, based on responses to my preview, it worked. The folks who responded to me via Twitter, Linkedin and on a thread in the Articulate community, overwhelmingly rejected my assessment. After all some people love sequels. I’m just not one of them*. *Exceptions – Superman 2, Godfather 2, All that Batman movies (C.Nolan films), Bad News Bears Breaking Training, a couple of Planet of the Ape movies (the originals from the 60’s).